How jealous can a person be? How often can you look at a stranger’s Instagram? How much menstrual pain do you have to endure? Is Norway the heart of paradise? Johanna is together with Emil. Emil has an ex called Nora. Nora is everything Johanna is not: beautiful, Norwegian, a social media darling. When by chance Johanna finds out that Emil and Nora are going to meet up, she conducts a thorough investigation of Nora via Instagram — an investigation that seems to have no end. Meanwhile, Johanna’s body is being consumed from within, and not just by envy. She has a constant piercing pain in her womb. 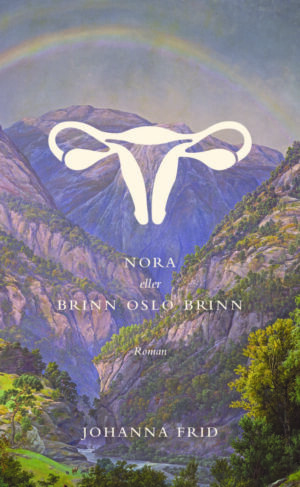 In Nora, or Burn Oslo Burn, an autofictional novel full of black comedy, Johanna Frid turns her sharp eye to two of our time’s most serious female ailments: Instagram and endometriosis.